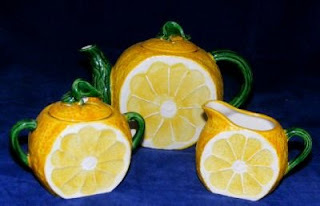 Mom had this tea set and it was so cute! I never remember her using it but it was in the china cabinet so I saw it every day. I think my sister has it now and she probably doesn't use it either. Posted by Karen at 12:00 p.m.